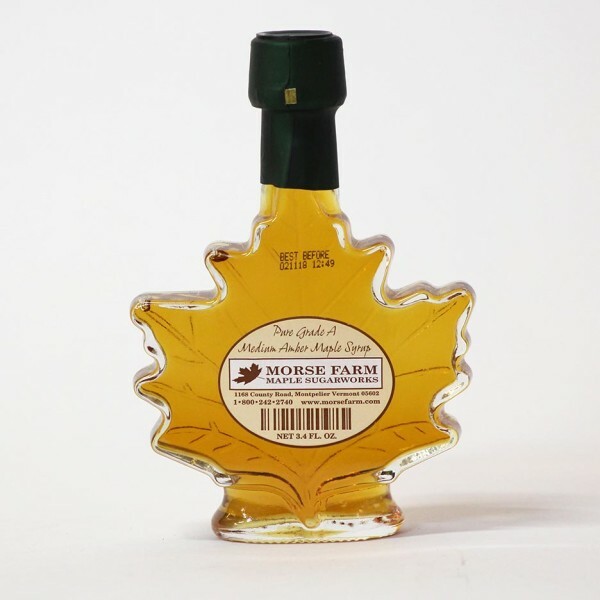 The medium size of our leaf shaped family of bottles contains 3.4 oz. 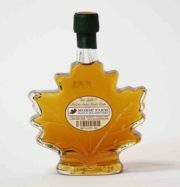 ounces of pure Grade A Medium Amber Maple Syrup. Turn over a new leaf, or at least this one, today.